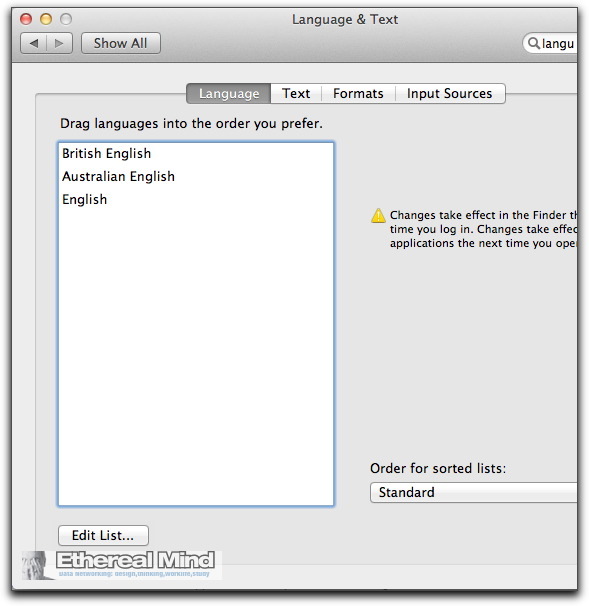 The system Dictionary in Mac OSX defaults to American English – which isn’t very useful if you are British, European or Asian ( India and throughout the middle and far east) since they mostly use British English. So I did a little digging and realised, as always, that there are options in the dictionary program. 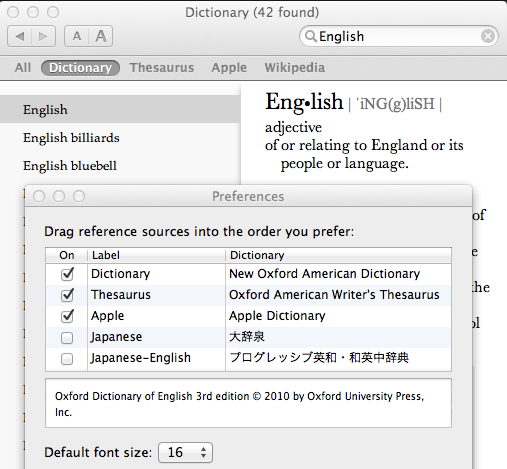 As you can see in the toolbar, you now have many dictionaries available. 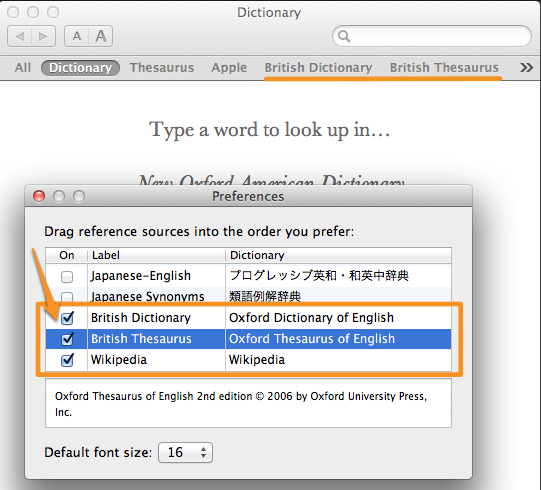 Of course you don’t want the American dictionary at all if you live in England. 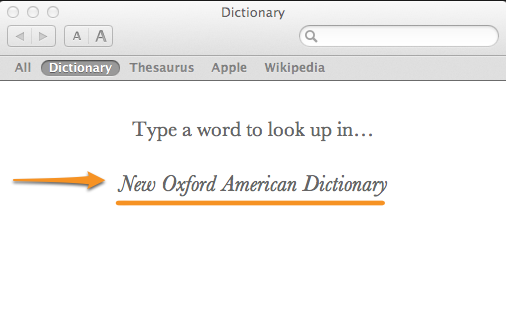 You can click and drag the dictionary up to the top, unselect the American Dictionary. 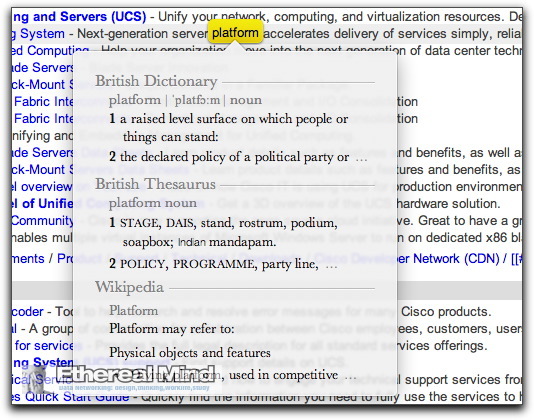 And now the toolbar shows the dictionaries you have selected. 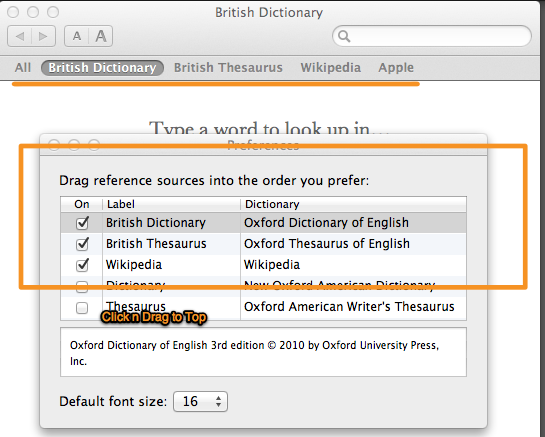 If you are using a Trackpad on OSX Lion, you can select a word with a one finger double tap, then use a three finger double tap to open the Dictionary directly like this in a popup menu. 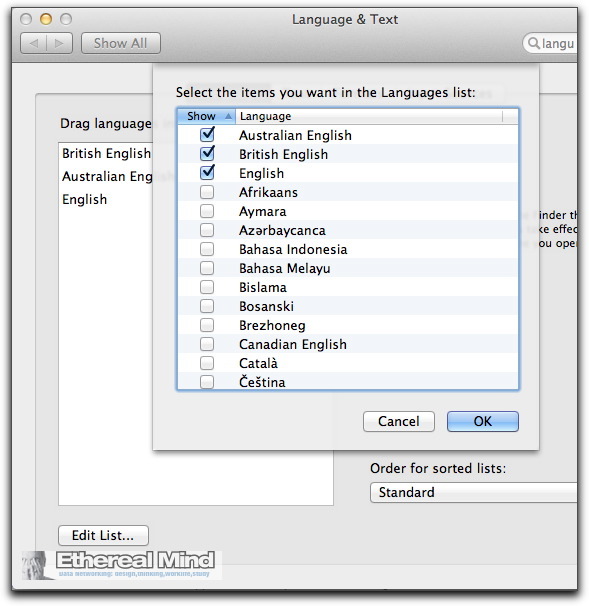 You can edit which languages are available by clicking the Edit List button and selecting the language you wish to use.